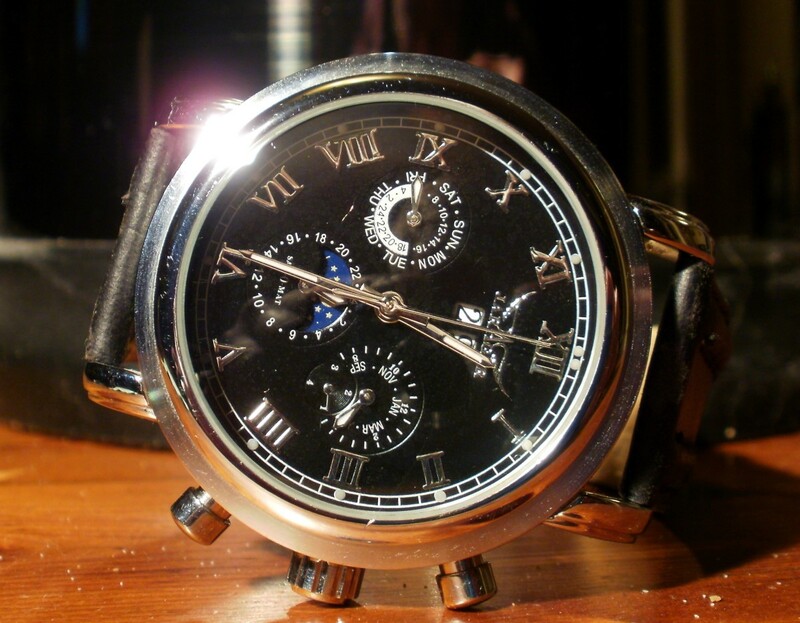 Once a year I check online, searching for the cheapest mechanical watch available. In this price range, you don’t expect much. These timepieces are always equipped with a throwaway strap, accuracy is laughable, and their lifespan is usually short. Sometimes these watches arrive DOA. I did get lucky once. I purchased a skeleton watch by Winner that, despite an inadequate strap, was reasonably accurate and looked great. I don’t wear it often, but the timepiece still works well. 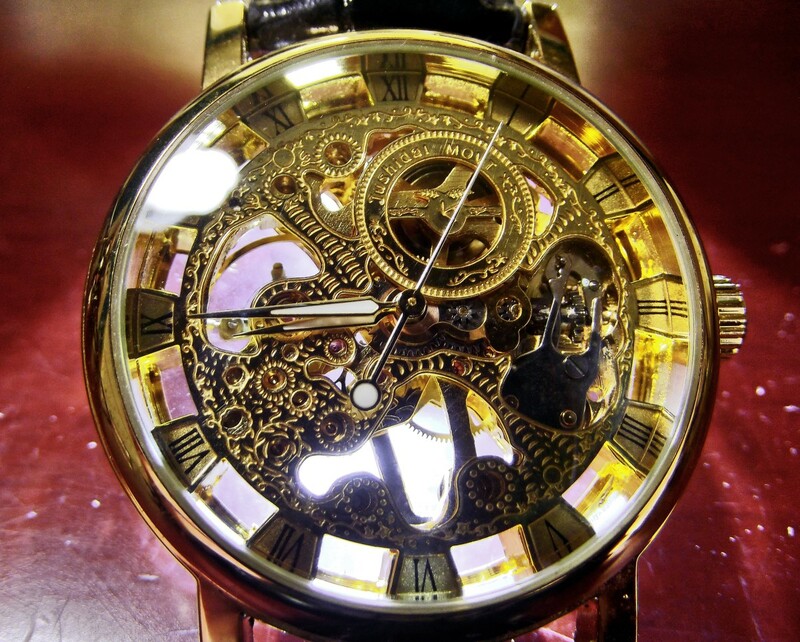 This year’s pick is the Sandwood Jushidai mechanical watch which I purchased at AliExpress for ten dollars. Like my older Winner, the Sandwood Jushidai is a skeleton watch. It weighs 49 grams (1.73 ounces), has a diameter of 38 millimeters, and is 12 millimeters thick. 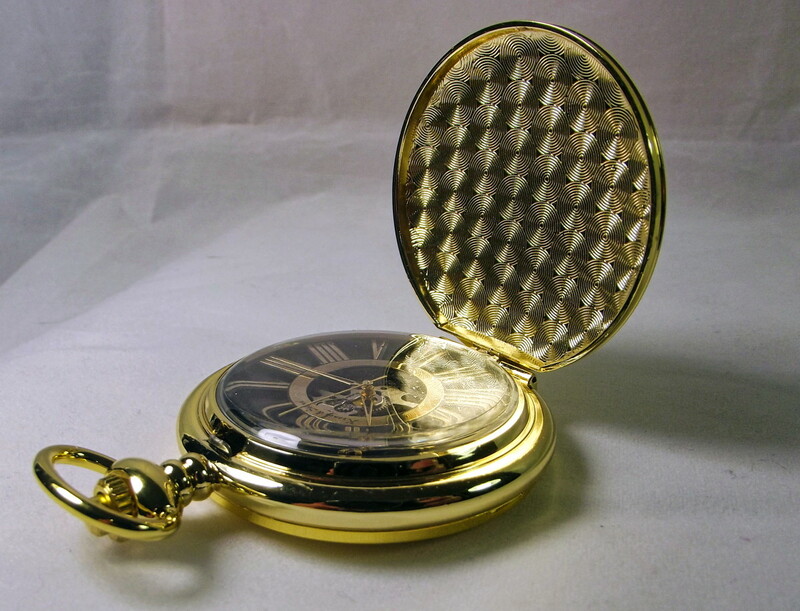 This timepiece’s dial and case are composed of gold colored metal. 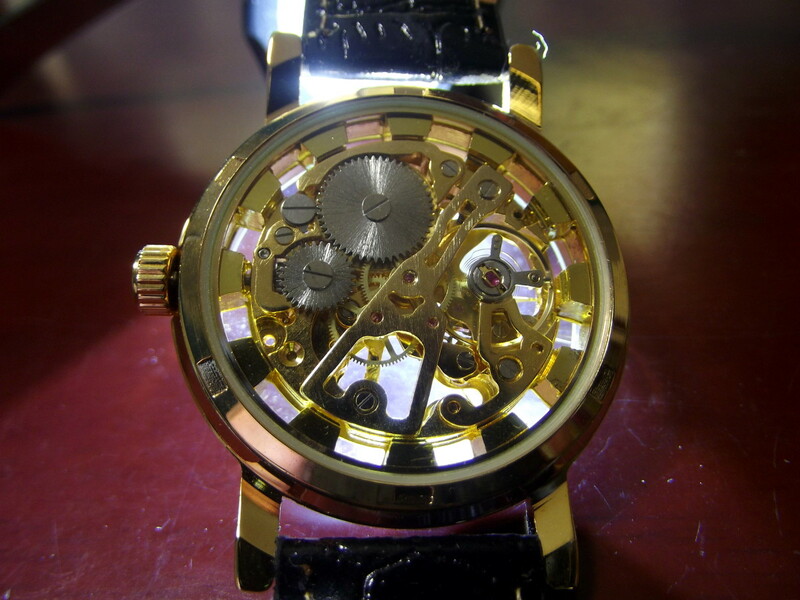 Both the crystal and part of its caseback are glass, allowing a good view of the inner workings. Luminous paint coats the watch’s hands. The strap is made from PU leather and equipped with a silver colored buckle. 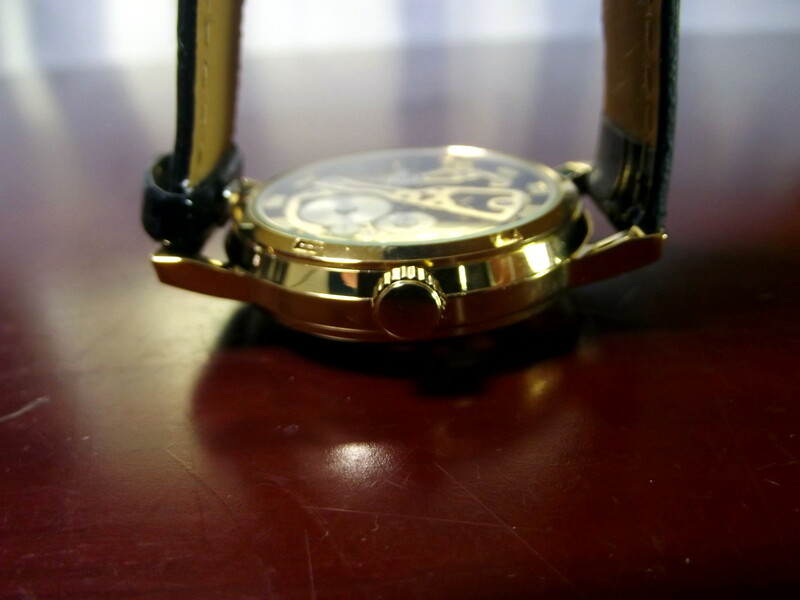 This watch’s mechanical, hand-wound movement is labeled Jushidai. Sandwood is trademarked by the Shenzhen Bluelans Network Technology Co., Ltd. of China. My understanding is that Shenzhen Bluelans is a trading company. 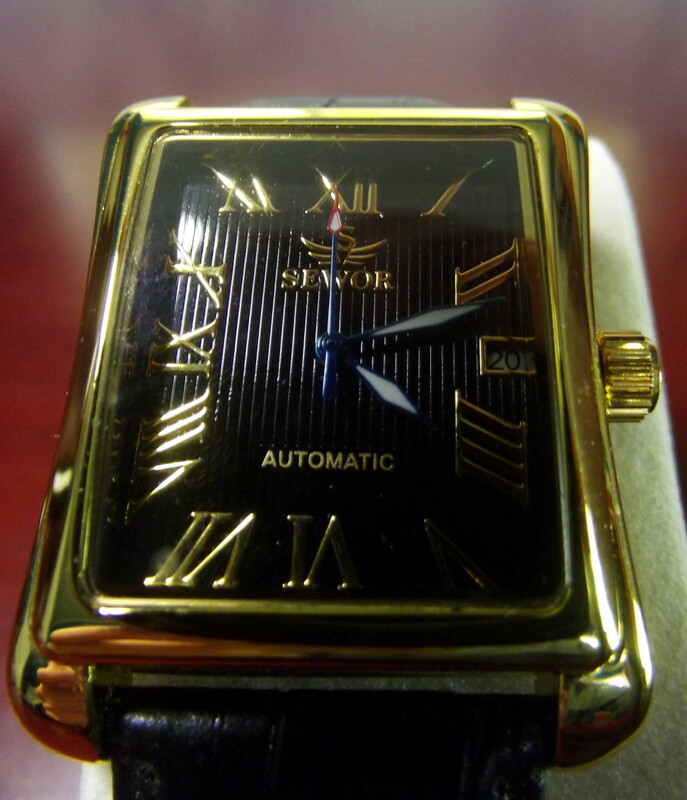 Jushidai is trademarked by the Guangzhou Shifenmiao Watches Co., Ltd. They have offices in Arcadia California but are physically located in China. I am unsure if Shifenmiao is another trading company or the manufacturer of this timepiece. 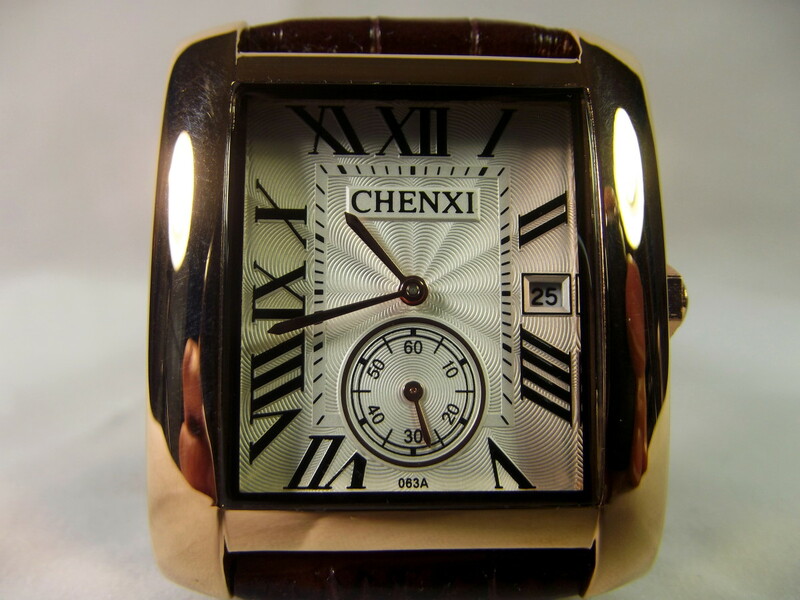 An intricate metal dial is well engraved and features a rapidly spinning timing wheel. Hour markings make use of Roman numerals. The Jushidai trademark and name are marked on the dial. Despite a coating of whiteish luminous paint, the thin, gold colored hands are not as easy to pick out as I would like. A shiny gold colored case frames two expansive glass crystals. 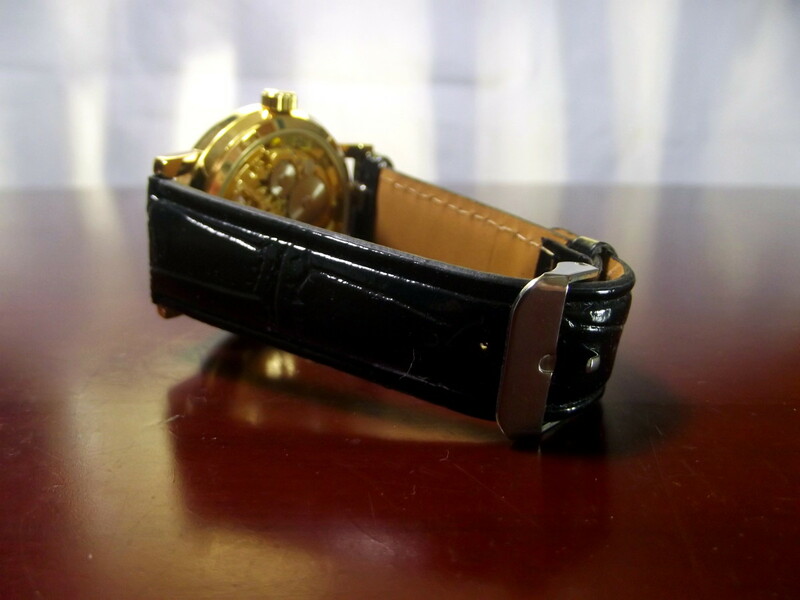 This watch is equipped with an alligator skin patterned, black PU leather strap. While the band matches the timepiece, the inclusion of a silver buckle spoils the effect. The case is composed of an alley but appears reasonably sturdy and does not annoy the ear with a tin-like ring when rapped against metal. While they are probably not of good quality, the crystals have survived my tests unscathed. The Jushidai movement appears to be a version of the standard Chinese Tongji mechanism. This movement has worked well during my tests and, although I cannot vouch for how long it will continue to do so, I have no immediate concerns. 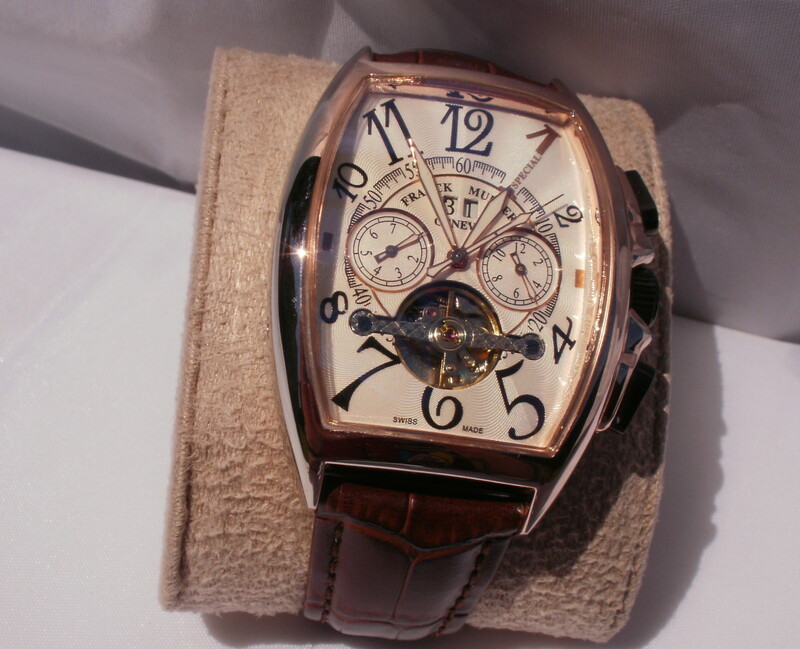 This timepiece is equipped with a very cheap PU leather strap with an expected lifespan of three months. Water resistance is not provided, suggesting this watch should not be worn in the pool. During a five-day test period, the Sandwood Jushidai gained an average of one minute per day. Although this watch will definitely not be certified by the Contrôle Officiel Suisse des Chronomètres, it is accurate enough to be worn on a daily basis. I fully wound the watch and checked its power reserve. It continued to keep time for 46 hours. That is an excellent result for a mechanical watch. The Sandwood Jushidai looks good and is reasonably accurate for a watch in this price range. If you are willing to replace its strap with one of better quality, the Jushidai would be a nice little skeleton watch to add to your collection. It should, however, not be considered durable enough to be worn every day. To assist in my selection of watches to review, I am conducting a poll to determine the price range of timepieces that my readers would consider purchasing. Please fill in the survey below. 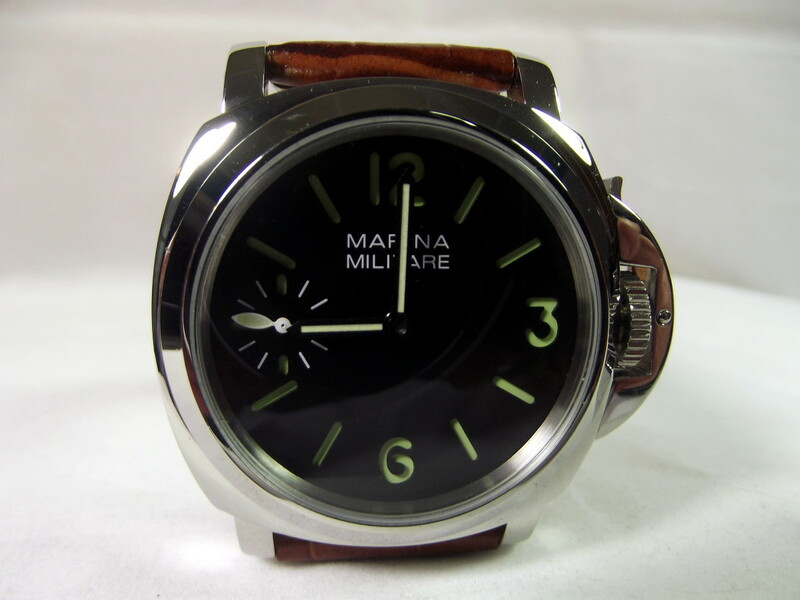 What is your price range when searching for a new watch? 5 - 20 dollars. I don't like to waste money. 20 - 60 dollars. 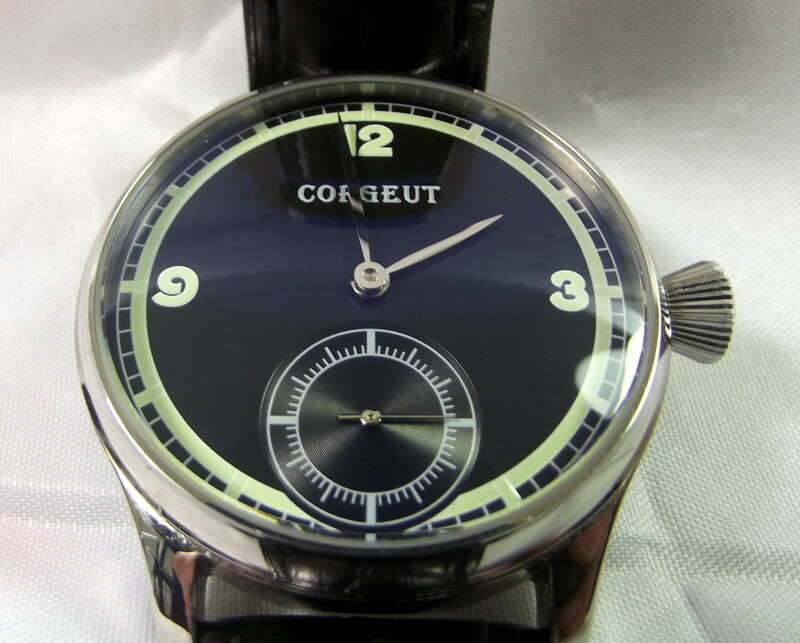 I'm looking for a decent watch. 60 - 250 dollars. This ensures quality. 250 - 1000 dollars. 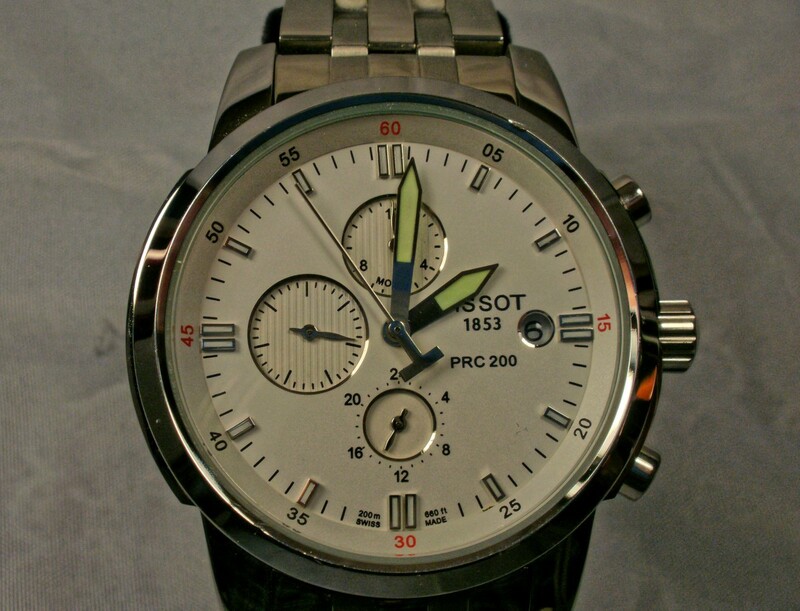 I want a quality watch that will last. 1000 dollars and up. You do get what you pay for.